3,000 miles in 3 years. Not strictly by foot — by foot would take a lot less time. That’s 1,000 miles per year: really, only 3 miles per day. That’s a pretty leisurely pace. But: taking 12 hours of travel-time to do those 3 miles. What could possibly take that long, and be worth 12 hours of travel time per day, over three years, to complete? The prostrations of a pilgrim — for three years straight. The Tibetan Buddhist pilgrim faces Bodh Gaya, the site in India where the Buddha is thought to have achieved his enlightenment. He raises them to the crown of his head, then lowers them to his throat and then his heart, cleansing mind, speech, and body. He sinks to his knees, then all the way down, sliding his hands along the ground till they reach far overhead and his forehead presses into the earth. He has to get up from this posture, walk his feet forward two paces, and begin the process again, his hands only somewhat protected by their wooden clogs. After three years of this daily 12-hour practice, he has a bone growth on his wrist and a wound on his forehead that won’t heal. He doesn’t mind. prostrate over the full 33 miles that circle the sacred Mount Kailash, a journey that takes two or three weeks. The prostrations performed in pilgrimages of any length are meditations, focusing the mind through repetition. The site of the meditation is the performer’s own body. Its exhaustion, soreness, even its sores serve as reminders that the believer is not his body, and that the body itself is only an illusion of separateness, a misrepresentation of a deeper, non-dual reality. 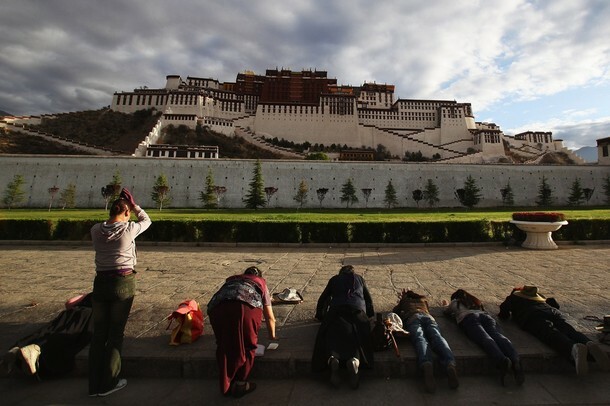 Westerners prostrating facing Potala Palace, Lhasa, Tibet. Along with both social and spiritual bows, prostrations are of course acts of surrender as well, bringing the head below the heart, sometimes so significantly that one has experiential understanding that one’s head is not the center of the universe. In doing prostrations, one is literally upsetting the head’s seeming dominance. We could lay this a different way: Prostrations, we could argue, are also ways of knowing. Measuring the earth in four-, five-, or six-foot lengths is a means of coming to knowing it intimately. In the course of becoming a human inchworm, one learns not only the earth’s size, but one’s own. The ancient world used human beings as the measure of space. A foot, a nose, an arm, a finger offered the basic length of measure. Remember the cubits used to measure Noah’s ark? They were literally (in Latin) a forearm’s length, going fingertips to elbow. In some cultures, the practice of mapping one’s measure onto the land remains quite alive. In South India, for example, the kalaris, or red clay huts that are used for martial arts practice are built on the measure of the guru’s own foot size: it’s length 42 times the guru’s foot long, it’s width 21 foot-lengths. A very contemporary example of using the body’s measure as a way of knowing comes up as an elementary-school math exercise. In his book Learning with the Body in Mind, Eric Jensen suggests that kids measure items around the classroom with parts of their body and report the results: “This cabinet is 99 knuckles long.” Kids come back excitedly to share their discoveries, finding that, although each person’s palm’s width is different, the measurements by their bodies take them more into a sense of unity than ultimately of difference — and that the world not only submits to their measure but invites their awe at how much bigger it is than they. Only one group of mammals (watch for clue) carries itself as ”catwalk” models do when they show off the new season’s fashions. Catwalking humans strut designers’ goods out with what those who identify animal tracks call “negative straddle”: Each foot slices over the center line of the body as it strides forward. This specialized, braided walk usually has to be practiced and coached. It carries power and even menace as the display of fashion becomes pleasurable assault.All of the expressive uses of the foot tell us about–or can alter our–humanness. Dance critic Alastair Macaulay celebrated the expressiveness of the foot’s contact with the ground in a recent New York Times essay, Macaulay contrasted the way in which Bolshoi ballerina Natalia Osipova sprang through her full foot up into the air–her “weight seem[ing] to contradict reality and to flow not down to the toe but up through the body”–with the Indian dancer’s customary flatiron drop of her full foot or her percussive striking of ball or heel against the ground as she articulates the rhythm of the music. It is not incidental that the ballerina’s liftoff evokes a sense of emotional expansiveness in the kinesthetically empathetic audience member, nor that the syncopated polyrhythms the Indian dancer stamps out ground the audience member and situate her in the complexity and serendipity of each moment. When we feel what we see in these performers, their feet communicate directly to our full-bodied, fully emotive experience. We’ve all known people whose identity seemed to be centered in their chests, as they jutted their ribs forward and walked as if a fishhook had caught in their clavicles and yanked them ever forward. Or perhaps the “I’ of them was in their heads, as they towered above and dissertated all over whomever could not get themselves away, or in their hips, as they moved with the consciousness of others’ desiring eyes upon them. My identity, I know, is centered in my feet. I can affirm that, when the feet make full, sensuous contact with the ground, they affect the sense of self in profound ways. One of my yoga teachers, Tom Quinn, was the main character in a dream that has stayed with me for years. 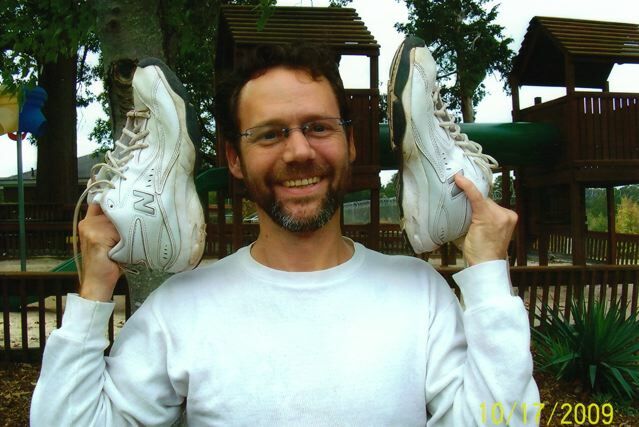 In it, Tom spoke to the ungroundedness I was experiencing with a straightforward reminder: “Find your feet.” With these three words, Tom returned me to the knowledge that, once I could feel the rolling, variegated contact of my feet against the ground, I would know where and who I was. In his Ancient Walking to Primal Rhythms, Randy Eady has developed a walking modality that makes finding one’s feet the source of healing. Eady’s method combines tai chi, acupressure stimulation of the feet, and labyrinth walking to integrate body, mind, and spirit and to contribute to the healing of serious diseases. 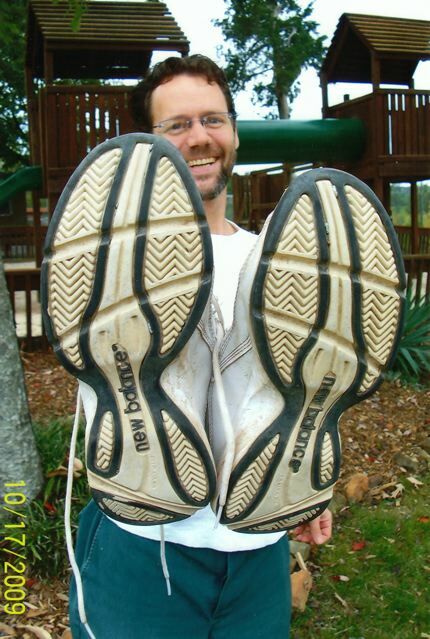 If, as the feet sense the imprint of the ground, they actually reshape the body-mind, then letting the feet go bare is one of the deepest ways of letting experience in. Do you buy as the real reason many people seem reluctant to take their shoes off in workshops is that they’re embarrassed by the smell of their feet? (I can’t say I do.) Taking off our shoes invites us to transform ourselves through an ineluctable contact with the ground: once you find your feet, you have to be ready to go where they take you, inside as well as out. 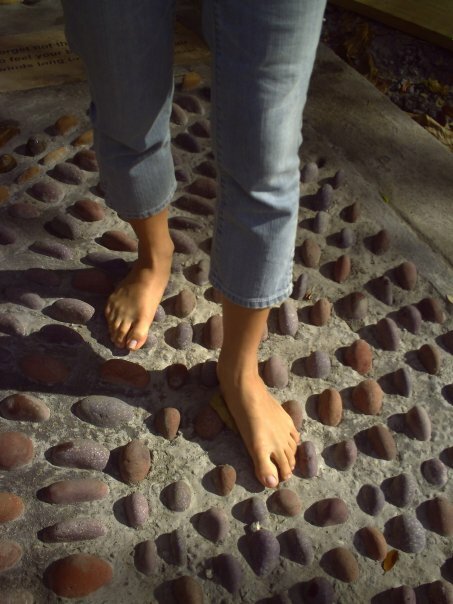 Comment from Athena Uslander: I love the conversation about hands and feet. In Iran nobody wears shoes inside the house. Comment from Randy Eady: Your Skin in the Game is a really useful educational/relational tool for those of us “working anthropological” with rhythms/movement/therapy. I remember when directing actors or teaching public speaking I would scramble to figure out what to do when performers’ hands were too active, distracting from what they had to say or from some essential dramatic transaction. Perhaps they just couldn’t get the words out without stammering with their hands. Or perhaps they felt that excited gesturing would improve their portrayal of an emotional moment in a scene. Almost always, asking a performer to hold his hands behind his back and to try to find other ways to get his message out improved his expressiveness a hundredfold. Yes, he’d first plead, anything but that!, but something transformational virtually always happened. The essence of the necessary communication emerged, free of expressive detritus. The stilling of the hands allowed the essential relational posture, whether verbal or physical, to clarify and make its appearance. The sinking of the actor’s chest as he engaged in a scene with the departing girlfriend was so much more expressive and evocative than any amount of gesticulating could have been. A speaker, who had jabbed his index finger at his audience with every point, used his eyes and the modulation of his voice to express a deeper caring at key moments in his delivery. In many of the world’s postures of prayer and meditation as, for example, Indian mudras or “seals,” the hands are brought to stillness, perhaps allowing the mind to distill and collect itself. In what ways might particular hand positions, as used in prayer or meditation, affect the brain or the subjective experience of prayer or meditation? Kevin Ladd, of Indiana University, has a novel approach to exploring prayer positions. In one of his experiments, Ladd positions eight male and eight female mannequins (shown above in mirror images of each other) in common prayer postures. Many of these postures are characteristic of more than one religious tradition. In the first of two standing postures, arms, hands, and fingers are held upstretched, as one often sees in Christian liturgical dances; in the other, the arms are crossed gently over the chest, hands relaxed. One “chair” posture folds one hand over the other, as one might adopt in private prayer. The remaining five postures hug the earth closely. In a series of three floor positions, the mannequins sit in the familiar “lotus” position, the palms held facing upward, or kneel as they either hold the hands similarly, as if in welcome, or close them into a folded position, much like the one that might be performed in a chair or a pew. The last two postures surrender the head: in one, the mannequin is on hands and knees, as may be seen in Muslim prayer; the other is a prone position with the arms outstretched and the face melted toward the ground, as one may see in many cultures’ monastic or clerical practices. Subjects encounter the full set of eight mannequins that correspond to their gender. They share their impressions about the “pray-er” represented by a particular mannequin: about her health, personality, and spiritual leanings. They then put on some of the accessories (a hat and two wristbands) worn by the mannequin(! ), as if to take on something of her “self,” and they attempt to pray in the same position they’ve witnessed. Afterward, they share their prayer experience in writing. While the experiment has to do with how prayer behaviors are socially learned, as well as with religious prejudice and stereotyping, the postures themselves are notable. Recognizable from a wide range of religious and spiritual traditions, both Eastern and Western, they have distinctive features in common. • The postures are all symmetrical with respect to the spine (right to left). • They are generally easy to maintain for long periods of time; that is, none of the postures requires extraordinary balance or is likely to bring on particular discomfort. • Some of them favor opening the body–and particularly the heart region–through spreading of the hands up or out or shining the palms upward. • The others seem to expel personal identity and self-importance from the body as, in one, the chest softly collapses and as the hands join together; in another, as they support the upper body in an all-fours position or as the chest rests into the ground in a prostration. • Where are the positions of prayer that are asymmetrical, that involve the hands in slicing or pounding, or intentionally muscular activity? • Where are positions that twist the torso? • Where are postures in which the location of the eyes or hips is more important than how the hands and legs, instruments of action and intention, are arrayed? • Where are the postures that require balancing on one leg, or reclining to one side? In Ladd’s collection of archetypal prayer poses, there are none of what James L. and Melissa Elliott Griffith have called “emotional postures of mobilization.” They are much closer to what might be called “emotional postures of tranquility.” All of these postures involve a disarming of the body on some level, a dropping down into vulnerability–in large part, perhaps, because of the stilling and discharging of the power of the hands. All, as the hands lead and still. If weddings were only about the joining of a man and a woman into a single body, that would have been better accomplished in private. We all seem to know how weddings are supposed to be, to look. One wedding website offers separate sections for the “elegant” bride,” the “fairy tale” bride, the “glamorous” bride, the “contemporary” bride, and the “destination” bride. While the wedding images and two-dimensional ideals are firmly ingrained for us mentally, we often carry less sense of what weddings are supposed to, and can, do. Yet, held in public, with their very specific organization of the bodies involved, weddings hold the potential to transform not just couples, but whole communities. At their heart, weddings aggregate one family and set of friends with another, even through how the social spaces of sanctuary and reception hall are organized. The transformation from two to one begins even as guests enter for the wedding, identifying themselves as being on the bride’s or the groom’s “side.” Yet, virtually as soon as they are seated, they undergo a subtle shift from their identification as representing the seeming self-interest of the bride or groom, to being a representative, for the other side’s view, of just who those people are to whom one’s nephew, best friend from college, or co-worker is about to be joined for life. I’m both my oldest friend Rosalind’s fiercest defender, as she makes this most significant life commitment, and (alas) her visual and behavioral ambassador and stand-in, as her husband-to-be’s friends and family check me out. With the bride as overcommitted as she’s going to be this day, Ros’s other friends and I have a lot of work to do to convey to Avi’s side that he’s going to be with good people from now on. Thus, the bride’s and groom’s social worlds are unveiled to each other at the ceremony itself, much the way a couple may reveal themselves to each other at the altar in cultures that have arranged marriages. And the unveiling that happens at the ceremony itself carries potential for all kinds of outcomes, from hope, delight, or relief to horror. Once we get to the reception and the choreographed interactions that often lead it off, the two peoples go beyond merely gazing across an aisle at each other: they enter into a choreographed mixing ritual reinforcing the relationships across generations and then across family lines. The now-traditional bride and groom first dance is followed by the groom + mother and the bride + father dances, then often opens out to inviting the larger community into increasingly bacchanalian combinations, as intensely focused or calculatedly seductive couple dances give way to the power of the grape and morph into group line and circle dances. But because of the palpable commitment of the rest of the male community to proving its mettle by raising every present woman’s heart rate, each danced with all, and two worlds united in a grand sociosexual mating. Dirty dancing would be the entitlement of every couple, no matter the age or language difference; even the female officiant participated. Yet most of us have attended a wedding, an integration ritual, that succeeds in joining a couple legally and ceremonially but utterly fails at joining the two bodies of the couple’s social worlds. For me, when that happens, the sense of the squandered opportunity can be heartbreaking. It is, after all, supposed to be about me and everyone else as well as about the couple. The wedding’s about my getting re-married to my partner, re-connected to the institution of marriage, integrated in a commitment to the new family and circle of friends and bearers of her husband’s history my friend has chosen. That’s perhaps why people cry at weddings–for the enormity of the transformation into a wider community they have agreed to undergo. In a like situation, it wasn’t a religious but an apparent geographic barrier to partnership, as the bride lived in Chicago, the groom in Manchester, England. Many of us carry the belief that the two involved bodies need to be present in the same place most of the time. Yet that wasn’t the assumption of the couple, both mature people. 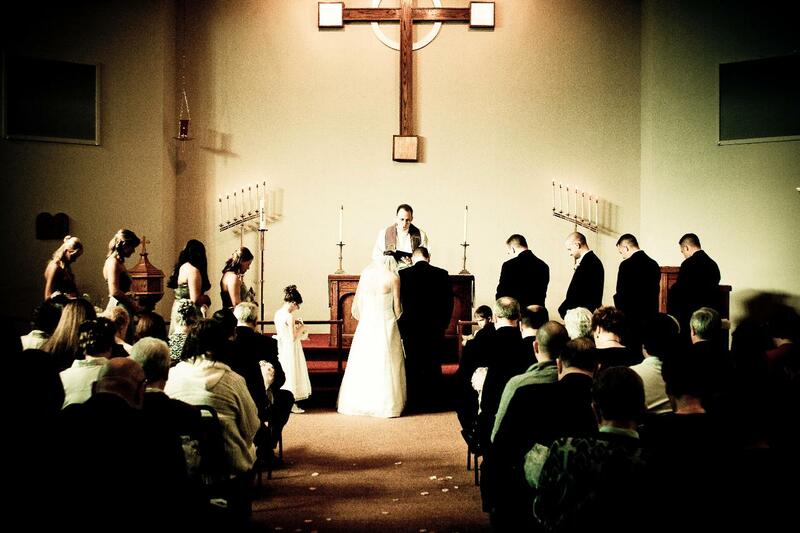 Thus, one of the chief ritual functions of the officiant was to move each side through its tacit distrustfulness by helping it know the unfamiliar partner well enough and assent to the likelihood of success for these two, given the unusual “‘cross-the-pond” (Atlantic Ocean, in British terms) basis on which they had predicated the first few years of their marriage. Graduations, housewarming parties, funerals, even baby showers carry ritual function. But one can go smaller, zoom in tighter than that. In our simplest daily one-on-one interactions, we engage in rituals that can either appear or accomplish.